PARCA eNews – May 29, 2015 – HIMSS (Healthcare Information and Management Systems Society) and SIIM (Society for Imaging Informatics in Medicine) have joined forces to establish a Joint Workgroup to share enterprise-imaging strategies and to create awareness that images are an essential part of the EHR. 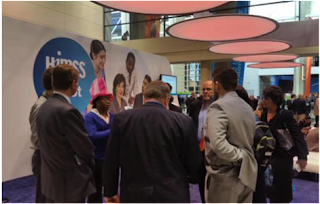 Dr. Jim Whitfill, SIIM Board Member and the Marketing, Liaison, and Communications Portfolio Lead, reviewed the charter and described the mission, purpose and goals of this collaborative effort of HIMSS and SIIM in his January 2015 SIIM eCommunity forum post. While the groups have often met through teleconferences, the first face-to-face meeting occurred at the HIMSS-SIIM Enterprise Imaging Meetup at HIMSS 15 in Chicago in April, and they met again last month at SIIM 2015 Annual Meeting. While more than 40 people participated, the workgroup is seeking additional members to increase participation and to raise awareness of the workgroup’s activity. If you are interested in participating, submit your interest form here or contact Lauren Kaderabek.